Folds up to hold Treasures or Gifts. Foldable box with lid arrives flat, ready for trims. Folds up to hold treasures or gifts. 3-1/4"W x 3-1/4"L x 2-1/4"H. Decorate with paint, markers and more (sold separately). Used for VBS. The were the only affordable individual boxes I could find anywhere. 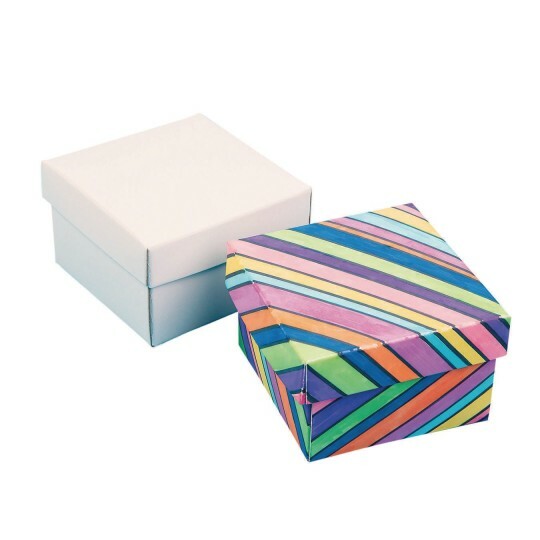 The boxes are good for small items they are easy to color and time consuming for children ages 6-9. 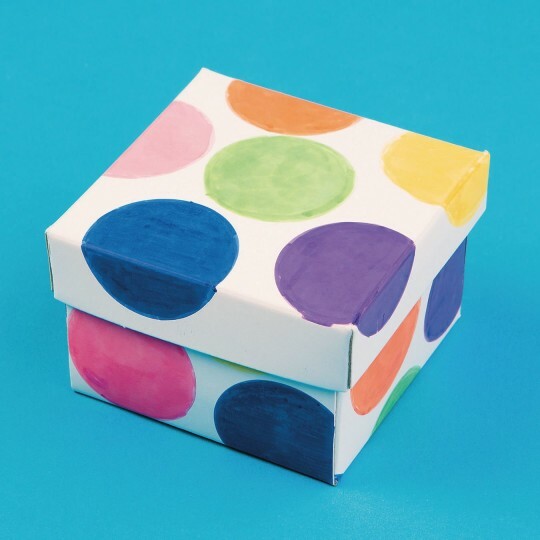 I used the boxes for a children's craft project on a camp out. The boxes are a cute idea. However they were smaller than I expected. They weren't very easy for children 3 to 7 to assemble. I ended up glueing most of them myself the night before and holding them together with paperclips until they dried. Neverthelessthey are a fun project for children to decorate and keep their treasures in.